Wondering about the differences between luring and bribing when it comes to dog training? A first step in setting the two apart would entail acknowledging the real meanings of both worlds. When it comes to dog training, people often categorically refuse to use treats because they are afraid their dog will not work unless they actually see food. However, when food is used correctly, this scenario will not typically occur. It is up to the dog owner or trainer to ultimately prevent the use of food from becoming a bribe. In a good training program there is ultimately no place for bribery. What is Luring in Dog Training? There is no shadow of doubt that a good portion of dog friendly training methods entail giving a dog reward. Because the fastest way to a Scruffy's heart is often through his stomach, treats are often used if a dog is food motivated. However, it is a common misconception to believe that positive training always entails food. Toys, praise and other rewards are often used. Because treats hold a special place for many dogs and because they help keep focus without losing momentum, for the sake of clarity we will use treats in the examples for depicting luring. In luring, you are basically using a treat to help your dog position himself in a desired way. For instance, if you want your dog to sit, you will likely put the treat at nose level and then move it towards the dog's tail so he will follow it and end up in a sit. If you are planning to make your dog lay down, you will likely take the treat and draw an imaginary "L" that goes from his nose to in the middle of his paws and then outwards. If you are doing heel work, the treat may be kept to your side, right next to your leg, or if you're looking for that fancy attention heeling, you'll likely be keeping the treat at eye level. Luring is also used extensively when training a dog to learn some fancy moves such as in the sport of Canine Musical Freestyle. So what is a lure? A lure is basically an aid, a visual prompt that helps set your dog up for success. Luring is basically a sub-category of prompting. For this training method to work correctly, it must be rigorously used during the acquisition stage of learning and then faded as soon as the dog grasps the concept. 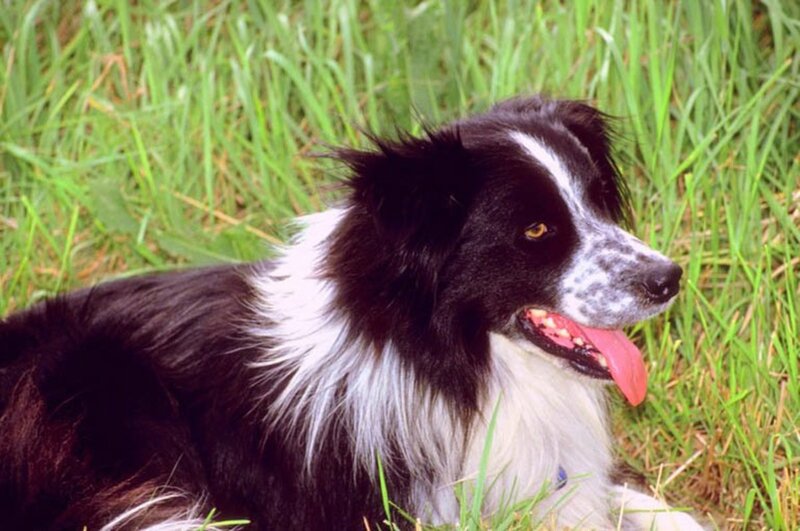 Many trainers like to think of a lure as a magical imaginary magnet that connects your hand to the dog's nose to make him perform desired behaviors. While there are many benefits in using luring for training, there are also several disadvantages. If you present the lure when your dog has repeatedly refused to obey your verbal or visual cue, this will reinforce the belief that the sight of the treat is the actual cue to perform the behavior. Luring may "switch off" the brain of a dog that is too food motivated. What is Bribing in Dog Training? In the human world, the definition of bribing is giving money or any other valuable for the purpose of corrupting the behavior of a person. An employee may, therefore, try to bribe an employer to promote him into a more prestigious position in exchange for monetary compensation. 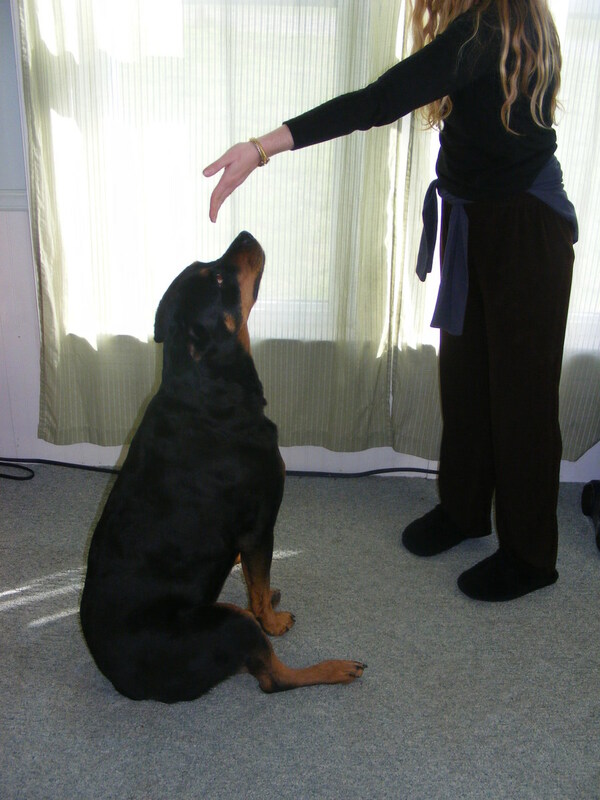 In the dog training world, you may try to bribe a dog to sit or lay down by showing him a treat. In both cases, monetary compensation or the promise of a treat both function as a guarantee, something that motivates the person or dog to perform a certain behavior. In the employer example you are basically saying "I will give you a stash of money if you promote me as vice-president". 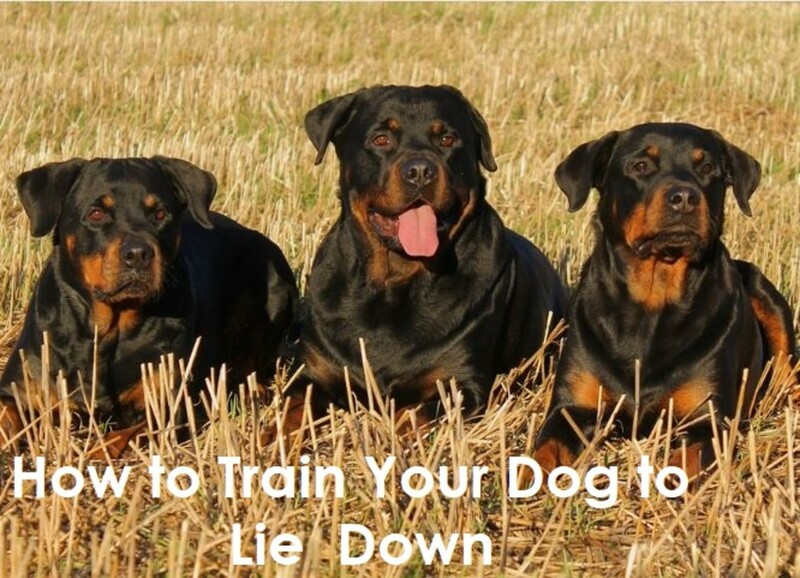 In the dog example you are saying "I will give you this treat if you sit or lay down". The money and treats, therefore, are both working as an incentive; basically, a promise contingent upon delivering the wanted behavior. The main problem with bribing is the fact that the employer or dog may refuse or fail to comply if the bribe is not visible. The employer may have a hard time believing he will be offered the money until he actually sees it; in the same way, the dog may appear to be refusing to sit or lay down unless he sees the treat. When Does a Lure Become a Bribe? Paul Owens, in his book ''Dog Whisperer, A compassionate, non-violent approach to dog training'', gives the definition of a lure as a ''promise of a reward''. On the other hand, his definition of a bribe is a ''lure gone astray''. What this means is that when luring is done wrong, it can potentially turn into bribery. When luring turns to bribery, you may at some point think your dog got smart and turned into an extortionist making a statement such as "No treat? Well, then no listening!". But what leads to this behavior? What exactly are the dynamics? And most of all, how can this be prevented from happening? Let's take a look. You train your dog to sit using food as a lure. You move the food from your dog's nose towards his tail. As your dog attempts to get the food, his muzzle goes upwards and his rump automatically touches the floor. "Tada!" You just made a sit happen. You continue training this way for several times. Rep after rep, your dog is getting a hang of it. After several repetitions, you have a feeling he understood the exercise. By just seeing the treat, your dog has learned what he needs to do in order to have it. The treat has, therefore, become the cue to sit. The mere sight of it tells the dog to sit. When you then remove the food, your dog fails to sit. Because he sees no food, he does not sit. You ask it once, you ask it twice and finally you get the treat out to help him. This further reinforces the thought that in order to sit he must see the treat and when no treat is in sight, he needs to do nothing! Your dog is likely not being stubborn, or an extortionist or an opportunist; he simply seriously thinks that the sight of the treat is ultimately the cue to sit! While luring is a quick way to see results, its major drawback is that it can turn into "bribery" if the lure is not faded promptly. How can you prevent this fallout? Simple. After the sitting behavior has established, treats need to get out of the picture and no more food will be kept in your hands. You will therefore, just move your empty hand from your dog's nose towards its tail. Afterward, you introduce the verbal command followed by the hand motion, and gradually the hand motion is replaced by the verbal command. When doing this, no food is in sight; rather, the food becomes visible only after the behavior has taken place by taking a treat out of your pocket. * Note: Some dogs learn to heavily rely on treat bags. Ultimately, this may lead to bribing since the dog may decide to listen only when the treat bag is in sight. For this reason, some trainers discourage the use of treat bags and prefer treats concealed in pockets. APDT, Why do Trainers Use Food When Training? 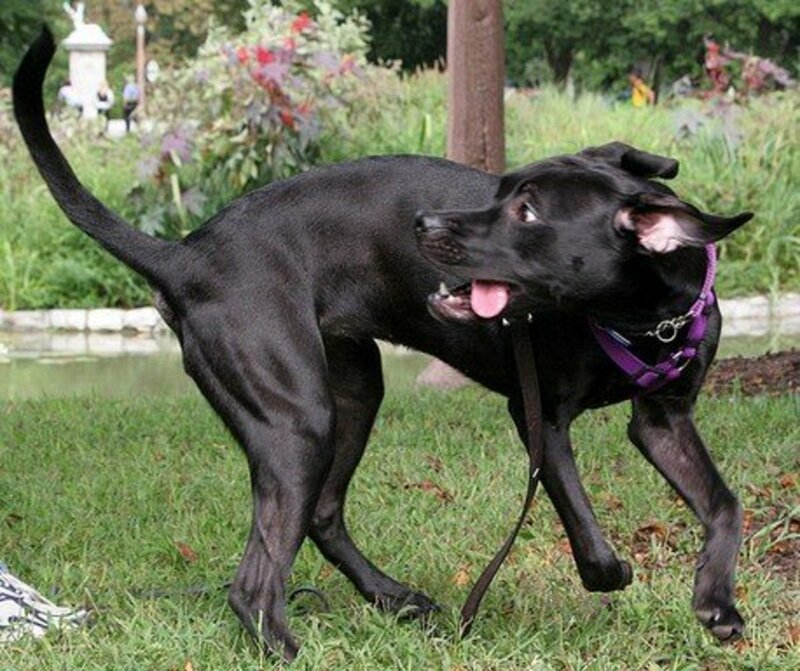 How can you use differential reinforcement of incompatible behavior to train your dog? Learn more about this training method and its advantages. Looking for kinder and scientifically approved training methods? Reap the benefits of training reward-based training methods for a better bond with your dog! Learn about poisoned cues and how to deal with them before they start becoming a problem. Tips and strategies to get your obedient dog back on track. Luring is perfectly fine as long as it is done for like 5-6 times and the food is removed from the picture as soon as possible. 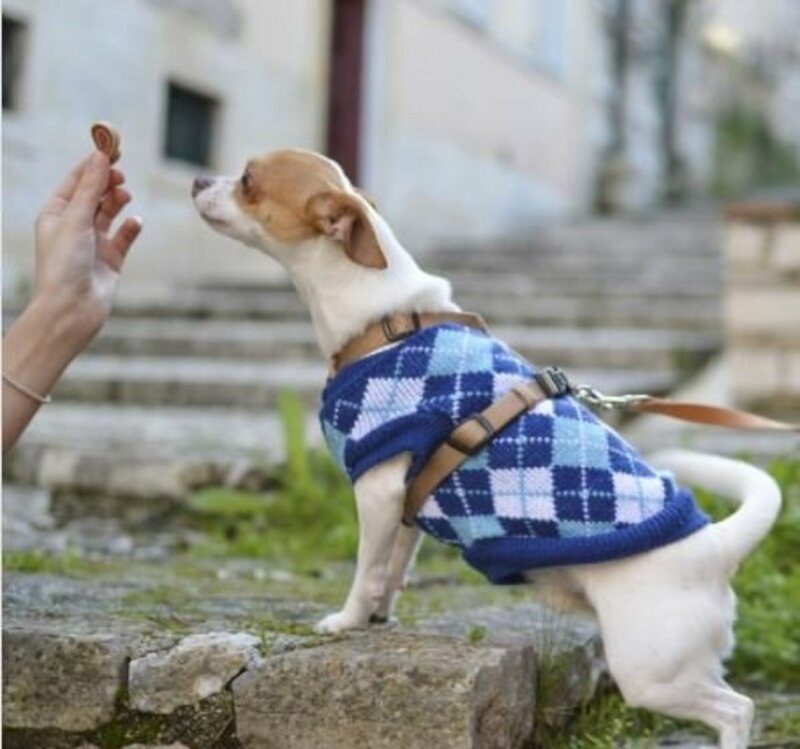 It is when luring is used for too long that the dog starts relying on the sight of the treat to perform the desired behavior when problems start and bribing takes place. Great explanation of the differences between luring and bribing, and how to identify them. When I first got the dog, we spent a lot of time on training. I'd like to think I was luring. I think I need to teach him some new tricks!